The Thrift World: Can I really do my taxes online for free? Is Taxact.com really free? Can I really do my taxes online for free? Is Taxact.com really free? I can happily say I've completed my taxes for 2012. My favorite part is it didn't cost me a penny to do them. Okay, not technically true, I paper mailed my state and local, so it was the cost of 2 stamps. Overall though: free. How? Taxact.com. You've seen the commercials and I'm sure you were skeptical, because I sure was. Dozens of companies claim to do your taxes for free, only to get you in the door or on their website, to then charge you a bunch of miscellaneous fees. But, good news, Taxact.com is actually free. When you sign on the site, you answer a quick few questions, and depending on your income level, you are eligible to use various free tax programs from across the web. The lower your income bracket, the more choices you have. I chose Turbotax because I was already familiar with the program. Once I started the program, I typed in all my information and finally hit send. They had a fair amount of options, double checks, and other perks that were included in the program for free. I'm finally finished, I'm feeling good, and I hit send. Oh, but wait? For $19.99 I can just hit send again and they will submit my local taxes. Tempting, but it's not free, and this is how their money is made. Here's the thing. After you've completed your federal taxes from their website, just print a copy for yourself, and do your state taxes yourself. Yes, it's very easy to just click "send" and forget about your state taxes for $20, but the fact is, state taxes are super easy to do, so don't pay someone else to do it. Besides, you still have to pull out your paperwork to do your local taxes, so there's no instant gratification in being BOOM done, cause you're not anyway. 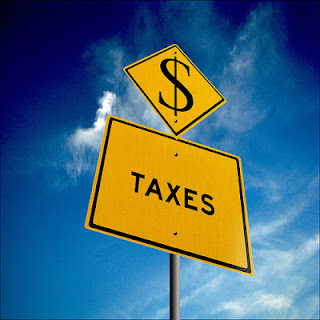 Taxact.com is great for people who have more simplified taxes and fall into lower income brackets. If you are in an upper level income bracket and have various stocks, accounts, retail properties, etc, the website is probably not your best bet to ensure you get the proper tax return. But, for someone like me, in a lower income bracket, with fairly straightforward taxes, the site is great tool that I will bookmark and use year after year. 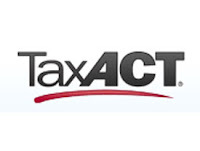 So tell your friends, tell your neighbors, tell that weird guy who wears suspenders and lounges in your mall (okay, maybe you actually shouldn't talk to him), Taxact.com is actually free. So use it. This blog posted is linked in to The Thrifty Home's Penny Pinching Party and We Are That Family.